The Comic Book Bears turn their cave into something dark and creepy for a change as they welcome writer/artist John Horsley to discuss the new comic project he is Kickstarting, The Eynes Anthology!! The book is about a family with a generation spanning connection to the supernatural! Listen in as John joins Steve and Billy Z in a discussion about the horror collection with numerous artists and writers from around the world joining John to tell us stories throughout time of this family and their demons! Check out eynesanthology.com for additional info about this crowdfunding campaign launching on February 1st! Comic Book Bears Podcast Issue #140 - Aquaman! Our first episode of 2019 finds Billy Z and Steve discussing Aquaman, the most recent entry in the DC Extended Universe series of films starring Jason Momoa! Listen in as Steve and Billy weigh in on the James Wan directed movie. 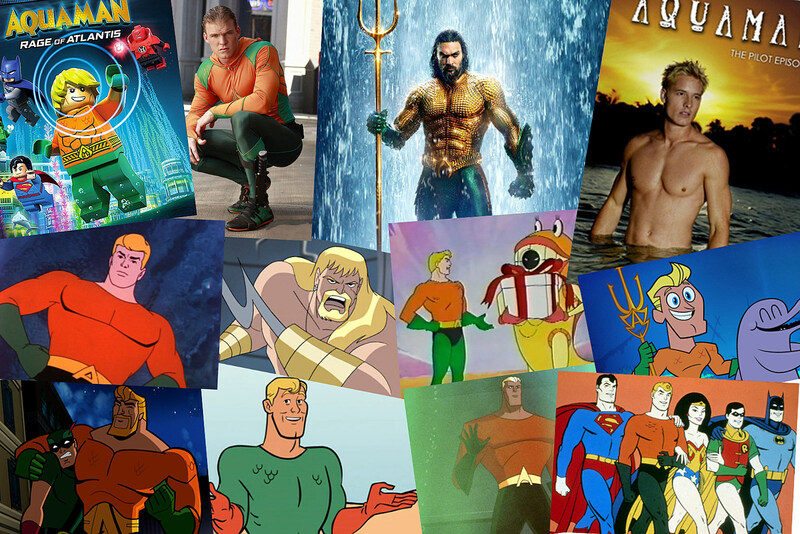 Beyond the film, the CBBears also talk about the history of Aquaman including reading recommendations from the 60's, 70's, 80's and today including the recent Drowned Earth crossover and the first issue of the new Kelly Sue DeConnick/Ronson Rocha run! We also discuss what comic book based films are coming in 2019, somehow Liza Minnelli works her way into the conversation and we say "Aquabro" a lot!